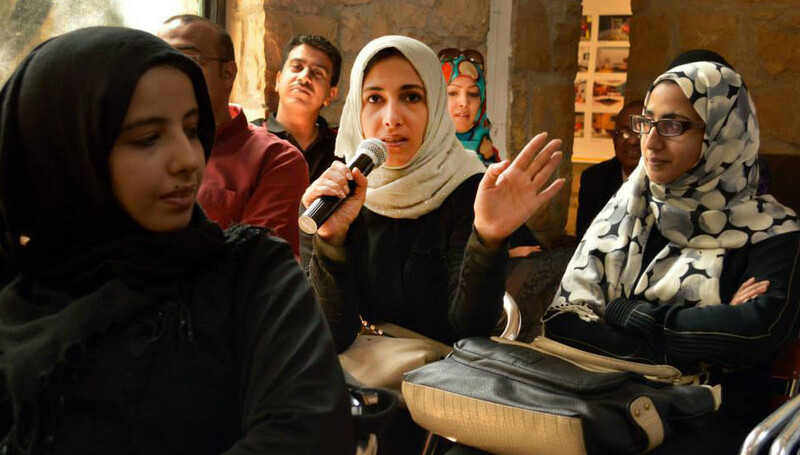 The Basement Cultural Foundation in Yemen piloted an innovative platform for reform-minded young thinkers to explore creative solutions to long-term, strategic challenges facing Yemen. In most of the countries of the Middle East and North Africa (MENA), prospects for democratic progress and reform were devastated by mounting turmoil, conflict, and terrorism in 2016. Security and stability have become urgent needs, eclipsing the government reform agenda in almost every country. Civil society throughout MENA – including a wave of newborn civic groups, coalitions, and political organizations – struggled on. Despite their inexperience and limited capacity, a younger generation of organizations remained committed to a long-term vision of reform and renewal. They persisted in their work of formulating alternatives to authoritarianism and mobilizing a wide range of social sectors, including small business and community-based groups. Afghanistan remained a high NED priority, as the country’s nascent civil society faced more challenges and fewer opportunities. In response, NED supported groups promoting national coordination on shared priorities, independent media and free access to information, democratic ideas and values – including the compatibility of Islam and democracy, the rule of law, civic education, and raising awareness of women’s rights under Afghan law. Despite threats from extremist groups, Tunisia’s transition proved resilient and its civil society groups remained highly committed to enhancing democratic gains. NED expanded its support to include a wide range of civil society initiatives on good governance, transparency and accountability of public institutions, and pluralism. Morocco’s modest political reforms remained on course. Its newly elected parliament and recent legislation provided civil society groups additional space for advocacy and effective participation in local policy-making. NED expanded its support to civil society, engaging youth in decision-making and the policy process, and creating coalitions to tackle legislative reform and government accountability. While the West Bank and Gaza are challenged by political stagnation and security concerns, NED grantees persisted in their efforts to foster meaningful public demand for political reform and active citizen participation. In Jordan, NED grantees have been addressing ethnic and religious cleavages, and building bridges between communities threatened by these divisions. Lebanon struggled to cope with a million Syrian refugees while addressing public demands to fix endemic corruption and public mismanagement. The Endowment supported independent civic actors as they championed evidence-based monitoring of national and local government, expanded space for independent journalism and alternative voices, and promoted youth leadership in civic and political spheres. With NED support, human rights defenders from Iran, Bahrain, and Saudi Arabia used digital technology to raise awareness, break state monopolies over mass communications, and promote new media organizations, bloggers, and citizen journalists. Egypt moved aggressively against foreign assistance to independent civil society groups. In March 2016, the government reopened its criminal case targeting foreign organizations and foreign-funded Egyptian NGOs. This further quashed dissent as reform-minded Egyptians feared becoming targets of the state security apparatus. In response, NED extended a lifeline of support to embattled local rights and media groups, and helped to connect local rights groups through regional programs. NED support prioritized efforts to address systemic governance failures and weak local and national institutions. In Turkey, independent media and civil society faced a wholesale rollback of democratic norms and a campaign of reprisals against peaceful dissent. NED increased its support to meet needs focusing on platforms for citizen-state dialogue, anti-discrimination campaigns, and independent journalism. NED expanded support for initiatives to foster solidarity among civic-minded actors across the region and create opportunities to learn about and apply innovative approaches to tackling governance challenges.